Zion Williamson made official on Monday what everybody has known since the opening night of this college basketball season - that he's entering the 2019 NBA Draft. Now who's going to be lucky enough to land him? Make no make mistake, the one-and-done prospect from Duke is the biggest prize available in this draft - a potential franchise-changer who will enter the league already a superstar. That's the result of Williamson averaging 22.6 points, 8.9 rebounds, 2.1 assists, 2.1 steals and 1.8 blocks in 30.0 minutes per game this season while earning CBS Sports National Player of the Year honors. He might not be an All-Star as a rookie, if only because that's a high bar to set for any teenager. But Williamson will immediately sell tickets, sell jerseys and get some franchise on national television way more often than it otherwise would be on national television. It's impossible to overstate his appeal to casual fans. The Knicks, Cavaliers and Suns each have a 14.0 percent chance, which doubles as the best chance, of landing Williamson when the lottery is conducted May 14 - but the Sixers, Lakers, Bulls, Hawks, Wizards, Pelicans, Grizzlies, Timberwolves, Hornets and Heat are also possible destinations. So good luck, everybody. Winning the lottery doesn't always allow a franchise to reinvent itself overnight. But winning this lottery will do exactly that. Williamson is a top-shelf athlete who can do things at his height (6-7) and weight (285 pounds) literally nobody else on the planet his height and weight can do. He's fast, explosive, nimble, powerful and way more than the YouTube dunker most perceived him to be coming out of high school -- evidence being that his Player Efficiency Rating in one season at Duke was nearly five points higher than anybody else's in college basketball. The CBS Sports National Player of the Year averaged 22.6 points, 8.9 rebounds, 2.1 assists, 2.1 steals and 1.8 blocks in 30.0 minutes per game this season while shooting 68.0 percent from the field. He'll be the No. 1 pick in this draft regardless of which team wins the predraft lottery. NBA legend Jerry West has reportedly told friends he believes Morant is the best prospect in this draft. I respectfully disagree because of the presence of Williamson. But Morant is obviously intriguing for lots of reasons — most notably because he's incredibly difficult for opposing guards to keep out of the lane, which is why more than half of Morant's field goal attempts came at the rim, where he finished successfully more than 61 percent of the time this season. The CBS Sports First Team All-American averaged 24.5 points, 10.0 assists, 5.7 rebounds and 1.8 steals in 36.6 minutes per game. He got a triple-double in Murray State's win over Marquette in the first round of the NCAA Tournament -- and the fact that he shot 87.5 percent from 3-point range on eight attempts in the NCAA Tournament served as evidence that he's a capable shooter while solidifying Morant's status as a top-three prospect in the world. Barrett scored more points (860) this season than any freshman in ACC history on his way to becoming a CBS Sports First Team All-American, and he was the only player from a Power 5 conference to score at least 13 points in every contest he played. In other words, the 6-7 guard is an undeniable and relentless bucket-getter — but his percentages, and efficiency numbers, were not great, which is why some are skeptical that Barrett will become an NBA superstar. He only made 27.8 percent of his 2-point jumpers and 30.8 percent of his 3-point attempts while helping Duke make the Elite Eight of the NCAA Tournament. That's an obvious point of concern. But, regardless, Barrett is still likely to go somewhere in the top three of this draft — and perhaps as high as No. 2. Garland suffered a season-ending knee injury just five games into the season -- but he showed flashes in those five games of why he's an intriguing prospect for just about anybody picking outside of the top three. The 6-2 point guard averaged 16.2 points, 3.8 rebounds and 2.6 assists in 27.8 minutes per game while making 47.8 percent of the 23 3-pointers he attempted. In a relatively weak draft that lacks depth, that just might be enough to get Garland selected even higher than he might've been selected if the draft were held last November. Hunter is a 6-7 wing who A) measures similarly to OG Anunoby, B) can switch on to bigs or guards no problem, and C) shot 43.8 percent from 3-point range this season while leading Virginia to the national championship. It's hard, bordering on impossible, to come up with reasons why he won't be very good, if not great, at the next level. In fact, I've heard former NBA players who are now television analysts describe him as the Kawhi Leonard of this draft. I can't promise that, exactly, because it's such a high bar. But if their point is that Hunter projects as a tremendous two-way player, yeah, that's a fair assessment. Culver projects as the second straight sub-100 high school prospect to become a top-20 pick within two years of enrolling at Texas Tech, which speaks volumes about the development happening inside Chris Beard's program. The 6-6 sophomore averaged 18.5 points, 6.4 rebounds and 3.7 assists in 32.5 minutes per game this season while leading Texas Tech to the title game of the NCAA Tournament. Yes, he was badly outplayed by Hunter in that title game — but that shouldn't keep Culver from going in the top 10 of this draft. Perhaps it should be unsurprising that the leading scorer in the history of North Carolina high school basketball scored big as a freshman at UNC. But, still, I'm not sure many expected White, a sub-20 prospect in the Class of 2018, to pass Michael Jordan on the school's freshman scoring list in early March and play as big of a role as he played for a North Carolina team that earned a No. 1 seed in the NCAA Tournament. Before the season, White was considered a 6-5 shooting guard. But he showed the ability this season to effectively play with or without the ball, which is essentially what made him an obvious one-and-done prospect. The Grizzlies will only select a player in the first round of this draft if they jump into the top four via the lottery or remain eighth; otherwise, they'll convey their first-round pick to the Celtics, which is definitely preferable to picking eighth. In other words, the worst-case scenario for Memphis is Memphis picking here. But if the Grizzlies do pick here, adding a one-and-done talent like Langford makes sense considering the franchise is in an obvious rebuilding situation. The 6-6 guard averaged 16.5 points and 5.4 rebounds in 34.1 minutes per game this season. His low 3-point percentage (27.2) is a concern. But the hope is that it had more to do with the fact that Langford played most of the season with a torn ligament in his shooting hand than anything else. Little was the MVP of the 2018 McDonald's All-American Game and the 2018 Jordan Brand Classic. So it's reasonable to suggest most didn't expect him to average just 9.8 points in his freshman season at North Carolina. But that's exactly what he did -- at least partly because he played just 18.2 minutes per game and behind a pair of seniors in Cameron Johnson and Luke Maye. It just wasn't a good fit from a roster perspective. Regardless, scouts are still intrigued by Little's natural gifts and potential. So while he won't be picked where he would've been picked before the season started, Little will, barring a surprise, still be picked in the lottery. Reddish projected as a top-five pick in the preseason, which suggested Duke was likely to become the first team in history to have three players selected in the top five of the same NBA Draft. But that now seems like an unlikely scenario considering the lackluster and wildly inconsistent freshmen year Reddish just played. The 6-8 forward only shot 35.6 percent from the field and 33.3 percent from 3-point range — and the fact that he missed an NCAA Tournament game for questionable reasons did nothing to eliminate the concern in some circles that Reddish's passion for the sport maybe isn't where it ought to be. Williamson, as noted above, had the highest Player Efficiency Rating in college basketball this season. But Clarke's PER ranked second nationally and was more than three points better than everybody else's. The 6-8 forward was a big reason why Gonzaga finished a perfect 16-0 in the West Coast Conference while earning a No. 1 seed in the NCAA Tournament. He averaged 16.9 points, 8.6 rebounds and 3.2 blocks in 28.1 minutes per game. The San Jose State transfer is a high-energy big who is a plus-player on both ends of the court. Any franchise obsessed with advanced stats, which is most, will seriously consider him anywhere outside of the top 10. Hayes developed late and was labeled as just the third-best prospect in Texas' four-player recruiting class coming out of high school. But the 6-11 forward showed tremendous ability early in the season and established himself as a lottery talent with incredible upside. Hayes shot 72.8 percent from the field — mostly because he dunked everything close to the rim. His block percentage of 10.6 rated 19th nationally. 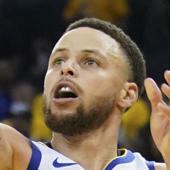 And it should also be noted that Hayes is the son of a former professional athlete, which sometimes means nothing but is definitely something more and more franchises have come to value thanks to players like Stephen Curry and Jaren Jackson Jr.
Doumbouya should be the first non-college player selected. The 6-9 forward was born in Guinea but raised in France — and he didn't turn 18 until last December, which makes him the youngest projected first-round pick available. He's a good athlete who can run the floor and play above the rim. And though Doumbouya's high-arcing jumper has never gone in consistently enough for anybody to call him a reliable shooter, there's no obvious reason he can't develop into one and become a high-level two-way player when he moves from the top professional league in France to the NBA. Not all freshmen who return to school for their sophomore seasons to improve their stock actually, you know, improve their stock. But Washington definitely helped himself this season -- mostly because he went from a 23.8 percent 3-point shooter (on limited opportunities) as a freshman to somebody who made 42.3 percent of the 78 3-pointers he attempted as a sophomore while helping Kentucky make the Elite Eight of the NCAA Tournament. The 6-8 forward led UK in both points (15.2) and rebounds (7.5). He projects as a stretch-the-floor forward who can also work around the rim. Herro did a nice job this season proving he's way more than "just a shooter" -- which is what many labeled him coming out of high school, perhaps because of little more than stereotypes. At Kentucky, the 6-5 guard averaged 14.0 points, 4.5 rebounds and 2.5 assists in 32.6 minutes per game while shooting 46.2 percent from the field, 35.5 percent from 3-point range and 93.5 percent from the free throw line. So he's a guard with size who can put the ball on the floor and consistently knock down shots. And that's what makes Herro a real candidate to be selected either late in the lottery or just outside of it. Alexander-Walker made a significant jump from his freshman season to his sophomore season and averaged 16.2 points, 4.1 rebounds and 4.0 assists for a Virginia Tech team that made the Sweet 16 for just the second time in school history. More importantly, for his NBA future at least, Alexander-Walker showed he's a 6-5 guard capable of playing on or off the ball and guarding at least three positions — all of which is why NBA scouts have been buzzing about him since November. Bol is probably the most polarizing prospect in this draft. On one hand, he's a 7-2 center who can put the ball on the floor, shoot 3-pointers effectively and alter and block shots like nobody else available. That's the good. On the other hand, he's a 7-2 center who struggles to guard in space and missed most of this season after suffering a foot injury in December that required surgery in January. That's the bad. Some franchises will have him in the top 10, others outside of the top 20. Exactly where Bol will land in June is one of this draft's greatest mysteries. Hachimura has gone from somebody who averaged 4.6 minutes per game as a freshman to a consensus top-20 prospect as a junior — one who shot 59.1 percent from the field, and 41.7 percent from 3-point range, this season for a Gonzaga team that finished the regular season ranked No. 1 in the AP poll. The 6-8 forward didn't start playing basketball in his native Japan until his teenage years and has improved significantly, in every way, every year in college. So there's no reason to think Hachimura won't continue to get better at all of the things he's already good at. Kentucky should have three players selected in the top 20 of this NBA Draft — and they really could go in any order. For what it's worth, I have Johnson the last to come off the board. But if he's actiually the first, it won't be surprising considering the 6-6 wing is a nice athlete who shot 38.1 percent from 3-point range on three attempts per game this season. He was a big reason why Kentucky was just a shot away from making the Final Four for the fifth time in a 10-year span under John Calipari. Show me a smart player with good size for his position who can play either backcourt spot, dribble, pass, shoot and be tough on the defensive end of the court, and I'll show you somebody who will have a long career playing professional basketball. Jerome is such a player. The 6-5 combo guard averaged 13.6 points, 5.5 assists and 4.2 rebounds in 33.9 minutes per game for a Virginia team that won the national title. The success other recent Virginia alums have had in the NBA, combined with the fact that Jerome made 39.2 percent of the 424 3-pointers he attempted in college, will help him with front offices looking to avoid a mistake. From a purely basketball perspective, Porter is a lottery talent who would be a steal for the Thunder, or anybody else, this low in this draft. But he's done very little, and possibly nothing, to eliminate some of the red flags that figure to make selecting him in the lottery a non-starter for some -- not all, but definitely some -- franchises. The 6-6 wing spent part of his freshman season injured, part of it suspended and was something less than the model student-athlete while averaging just 9.5 points in 22.1 minutes per game for a USC team that finished with a losing record. None of that alone means Porter won't emerge as one of the 10 best players from this draft. But some of that is why he's unlikely to be one of the top 10 players selected in this draft. Dort became just the third consensus top-50 high school prospect to enroll at Arizona State -- joining a list that includes James Harden and Jahii Carson -- and he was a big reason why the Sun Devils made the NCAA Tournament for the second straight year under Bobby Hurley. The 6-4 freshman from Montreal averaged 16.1 points and got to the free throw line 6.1 times per game. He has a 6-9 wingspan and real desire to guard both quicker and bigger players. His 215-pound frame is rock-solid. And although Dort is not a natural point guard, he did spend part of this season proving he can play on or off the ball, which helped him with scouts. Schofield was just a 3-star prospect coming out of high school -- a 6-5 forward from Illinois who wasn't even considered a top-250 recruit in the Class of 2015, according to 247Sports. Now he's 6-6 with a sculpted body and reputation for being a tireless worker who is loved by his coaches, all of which helped him average 16.5 points and 6.1 rebounds this season for a Tennessee team that spent four weeks ranked No. 1. The fact that Schofield made more than 40 percent of 393 3-point attempts in the past three seasons suggests he'll be a real threat from the perimeter when he gets to the NBA. Edwards' incredible performances in the NCAA Tournament — especially his 42-point game against the Virginia team that went on to win the national championship — helped the Purdue junior with NBA front offices, and now he's a likely first-round pick. The 6-1 guard averaged 24.3 points in 35.4 minutes per game this season while shooting 35.5 percent from 3-point range. At worst, I think, Edwards projects as an instant-offense contributer perfectly suited to come off of the bench. Horton-Tucker went from a borderline top-60 recruit coming out of high school to a likely first-round pick inside of a year thanks to a nice freshman season that saw him average 11.8 points and 4.9 rebounds in 27.2 minutes per game for an Iowa State team that won the Big 12 Tournament. The 6-5 guard is still only 18 years old; so patience will likely be required. But Horton-Tucker's ability to play multiple positions makes him an interesting prospect. Williams is a two-time SEC Player of the Year who averaged 18.8 points and 7.5 rebounds in 31.9 minutes per game this season. The CBS Sports First Team All-American was so consistently productive that NBA scouts who previously questioned whether what he does will translate to the next level are starting to wonder why it won't. It's true that the 6-7 forward is neither a great athlete nor a serious threat from the perimeter. But Williams really knows how to play. And, more and more often, players who are described that way are carving out roles for themselves in the NBA. Perhaps Williams can be the next. Okpala's production was significantly up this season. The 6-9 forward averaged 16.8 points and made 36.8 percent of his 3-point attempts while transforming from a borderline top-45 prospect in the Class of 2017 into a likely first-round pick in the 2019 NBA Draft. One of the keys to that, it should be noted, is that Okpala has gone from a 6-6 forward to a 6-9 forward in a span of two years. So now he looks like a nice combo forward for the way the NBA is currently being played. Fernando, already blessed with an NBA-ready body, was extremely tough for Big Ten post players to deal with all season while averaging 13.6 points and 10.6 rebounds in 30.0 minutes per game. One coach even compared him to Karl Malone. And while I'm not sure the 6-10 forward projects as a future Hall of Famer like The Mailman eventually became, it's hard not to like an athlete built this way who also has a motor that allows him to work harder, and play harder, than most of the other bigs he's spent the past two seasons matched up against. Windler entered Belmont as a mostly unheralded prospect but is leaving as one of the nation's most productive players. The 6-8 senior averaged 21.3 points and 10.8 rebounds in 33.2 minutes per game this season while registering the nation's 10th-best Player Efficiency Rating and leading the Bruins to their first win in NCAA Tournament history. Beyond that, Windler shot above 42 percent from 3-point range in each of the past two seasons, which suggests he'll be a reliable shooter in the NBA and a space-the-floor forward. Villanova needed Paschall to elevate his play this season to stay relevant and win a fifth Big East title in a six-year span. He did. So the Wildcats did. And, in the process, the 6-8, 260-pound senior helped himself with NBA scouts by proving he's more than just a role player on a team with four future NBA players, which is kind of what he was previously. Paschall averaged 16.5 points and 6.1 rebounds in 36.1 minutes per game this season. The biggest thing working against him, at this point, is that he's already 22 years old and will turn 23 in November.